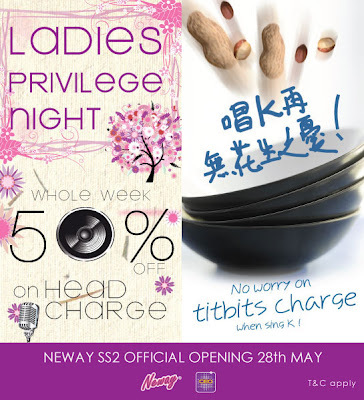 Ladies can now enjoy 50% OFF on head charge for the whole week in conjunction with the grand opening of Neway SS2 !!! Visit Neway SS2 & sing your heart out today !! !